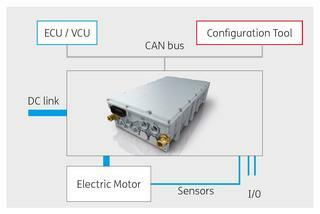 SKAI 2 HV comprises a versatile 3-phase AC/DC and DC/AC converter product platform designed for use in electrified vehicles. It covers key requirements such as high power density, exceptional ruggedness and automotive EMI compliance. 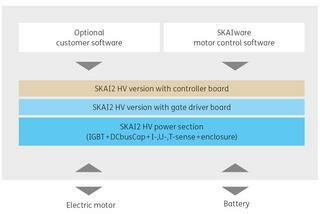 The integrated motor control software SKAIware ensures highly efficient operation of the electric drive train. The SKAI 2 HV power electronic platform – now in its 2nd generation – comprises highly integrated converters which provide the ideal powertrain solution for electric and hybrid electric vehicle applications. Power densities of up to 25kVA / litre bring about a notable size reduction compared with other available standard converter products. The products are designed to operate with supply voltages of 120V up to 800V (optional 850V) and with output power ratings of up to 300kVA. 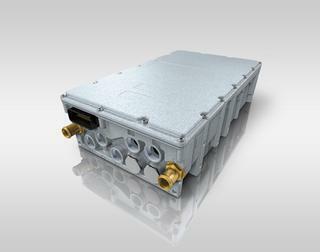 Thanks to the elaborate power interface design, all the SKAI 2 HV connections are on the narrow converter front side, reducing assembly space requirements as well as the installation requirements within the vehicle. The IGBT-based SKAI 2 HV converter operates on sintered 100% solder-free 600V or 1200V power semiconductors and features polypropylene film DC-link capacitors. 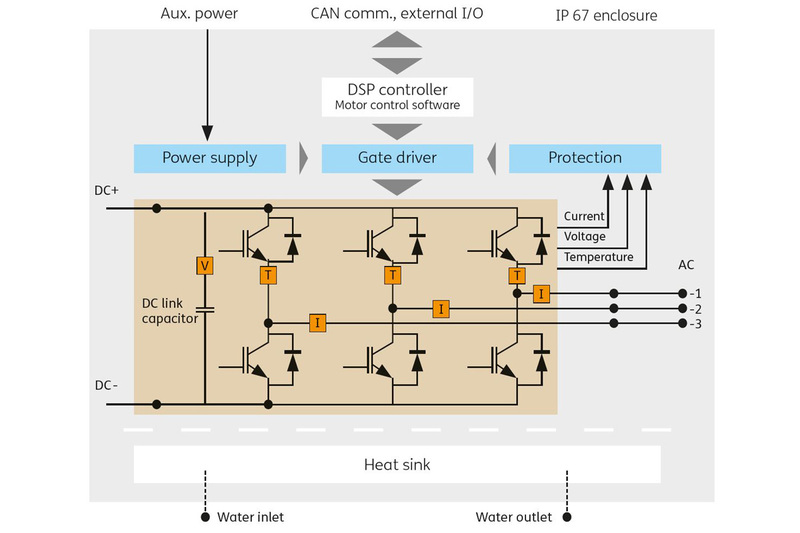 The DSP-based controller includes gate driver electronics, as well as current, voltage and temperature sensors, and is integrated in a waterproof IP67 enclosure. The compact inverters withstand high vibration amplitudes of up to 10g rms. 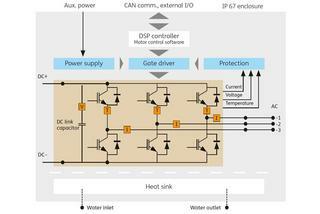 The embedded SKAIware motor control software adds functionality to the system and completes this tried-and-tested package. Coupled with the motor control software SKAIware, the SKAI 2 HV monitors the individual power semiconductor junction temperatures in real-time. In this way, the fatigue parameter “junction temperature increase” can be influenced as needed and challenging operating conditions managed. Depending on the software parameterisation it is possible to limit the junction temperature by derating instantaneous power losses in real time. In principle this can be achieved by reducing the actual output current or the switching frequency. The vehicle might slightly derate its actual performance as a result but it will not stop operating. By incorporating the intelligent control feature, the drivetrain performance is more rugged and the expected service life can be guaranteed. 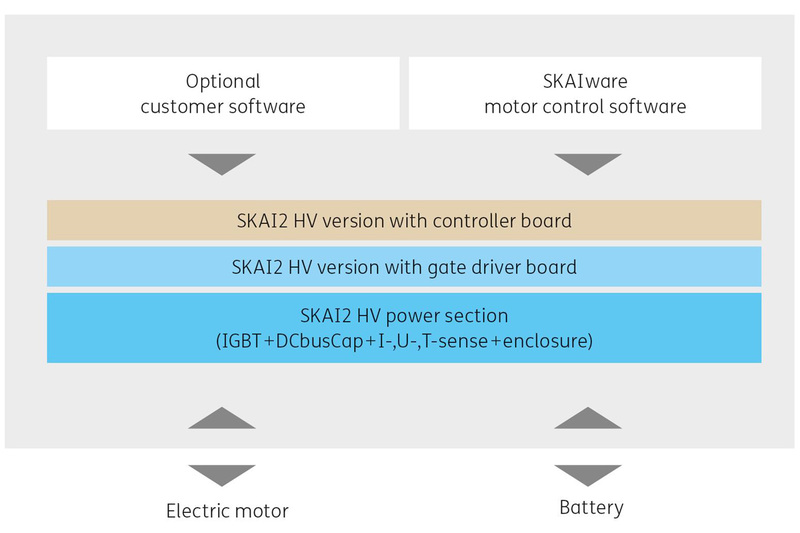 The SKAI 2 HV ”Off-the-Shelf“ converter family has been introduced to cover a broad range of vehicle electrification applications. Examples are electric drivetrains with standardised motor/ generator flanges for easy integration into existing vehicle designs. These types of drivetrains have been developed for many vehicle types , i.e. 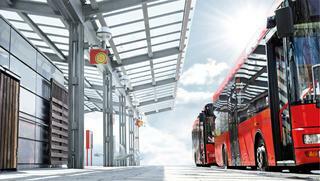 buses, lightweight trucks, agriculture and construction machinery as well as marine applications or cars.